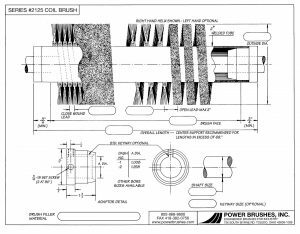 We manufacture brushes for rugged applications where the brush is continually under tremendous load and pressure. 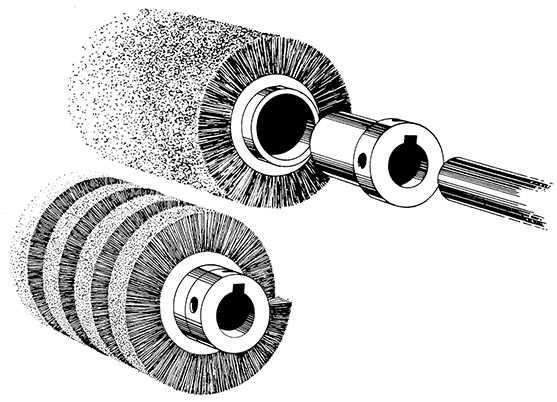 If another diameter core is desirable, this design can be duplicated. Provide us as much information as you can, or we welcome your call at 800-968-9600. You may fill out the fields below, or you may print, fill in, scan, and upload a diagram below. Series 2125 - 2" or 3"? 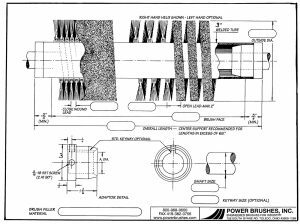 Series 2125 - 2" or 3"?2"3"